Many people have problems getting to sleep at night. Or they may wake up regularly during the night or too early in the morning. 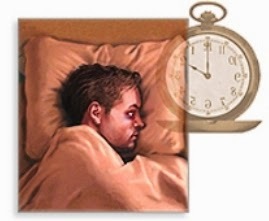 Common reasons for insomnia are worry, including anxiety about not being able to sleep; illness; stress; lifestyle (e.g., irregular hours, lack of exercise, too much coffee towards bedtime); and the wrong environment (e.g., sensitivity to noise/light). Persistent sleep difficulties may sometimes point to an underlying medical problem, such as depression, alcohol dependence or drug abuse. A few sleepless nights are unlikely to do you much harm. But regular insomnia can make you tired, irritable and unfocused during the day, and you may feel that you cannot cope. A few simple adjustments may be enough to get you back on course. If all else fails, you can buy mild sedatives that will help you to restore a healthy pattern of sleep. Just because you may sleep a lot less than other people, it does not necessarily mean you have insomnia. The average is around seven hours a night, but some people get by on as little as four hours' sleep while others need up to 12 hours. As a rule the older you get, the less sleep you need. In some cases people who have trouble falling asleep at night are just 'out of synch' and would sleep longer if they did not have to get up in the morning. Usually we can survive on less sleep than we imagine. And people who claim they have been awake all night often have slept, but very restlessly. The main factor to look at is whether you are too tired during the day. If you are, then you probably need to do something about your sleeping habits. What Can I Do Immediately To Make My Sleeping Problems Better? • Resist the temptation to take a nap during the day. • Make sure you get regular physical exercise and are generally active during the day. • Avoid stimulants close to bedtime, such as drinks or medicines containing caffeine or alcohol, rousing music or tense dramas on television. Alcohol may help you go off to sleep, but you will sleep more lightly and wake up more easily. • Try not to work during the evening as you may have difficulty 'switching off'. • Get into a routine of winding down before you go to bed. A bath, a short walk or a milky drink may help you to relax. If you tend to run over things in your mind at the end of the day, set aside time to do this before you turn in. • Try to set a pattern of getting up and going to bed at the same time each morning and night. • Check that your bed is comfortable and the conditions in your bedroom are right. The room should be dark, quiet, not too hot or cold, and properly ventilated. • Do not worry about getting a set number of hours' sleep. • If you do wake up, read or watch television for a while rather than lying in bed trying to get back to sleep. • If none of these methods work, as your local pharmacist about sleep aids. What Can I Do Generally To Avoid Sleeping Problems? • Try to keep regular hours and go to bed when you are tired. • Find time to relax at the end of the day. • Do not eat too much or drink a lot of coffee, tea or alcohol close to bedtime. • Do not miss out on physical exercise. Pharmacies stock sleep aids that contain sedative antihistamines or herbal remedies. Some of these products can make you very drowsy the next morning, so ask our local pharmacist for advice and read the label carefully. Sleep aids are only meant to set you back on the path to regular sleep. They should not be used for more than a couple of days. • If lack of sleep is making it difficult for you to function normally during the day. • If you think your insomnia may be due to some underlying medical problem. • Do not worry about a few sleepless nights. • Get into a routine of winding down before bed. • Avoid large meals, caffeine and alcohol close to bedtime. • Try to get up and go to bed at the same time each morning and night. • Only use sleep aids if you really have to.